We decided to warm our legs with a quick run under the Valley Chair, a relatively tame trail that will basically allow you to perform a diagnostic test of your immediate capabilities. Anyone over 50 knows what I mean. Satisfied that the mountain would not get the better of us this day, we headed over to the Green Peak triple. This is Waterville’s newest terrain with a couple of blue square cruisers and several seriously steep, rock strewn trails. We headed to Governor’s Run, were we found very good snow with lots of corduroy. It was such fun we decided to ski it a few more times. The GS course is on White Caps to Sel’s Choice to Tommy’s World Cup. The SL course is down Sel’s Choice to Tommy’s World Cup. 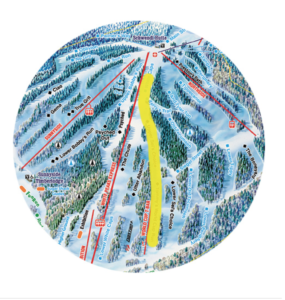 Having accomplished our advance goals we turned it loose again, skiing all around the mountain. 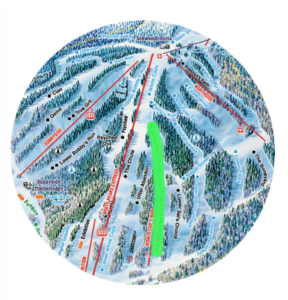 We also heard an interesting rumor going around the mountain that Mikaela Shiffrin, Bode Miller and Ted Ligety could be on scene to support and cheer on the team. You can imagine the buzz this created. I’ll be attending a couple of the events. Stay tuned for a report on the vibe. 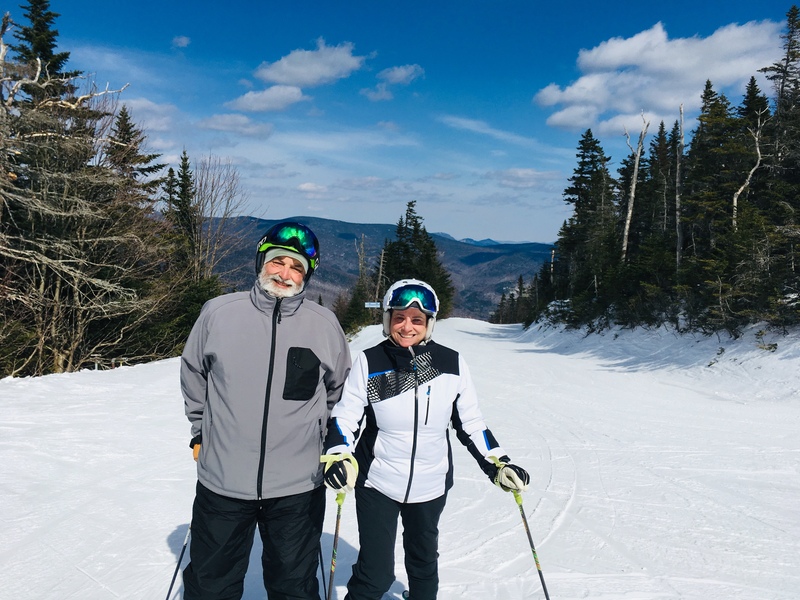 Ann and I enjoying the day at Waterville Valley. Photo by Joan Wallen.